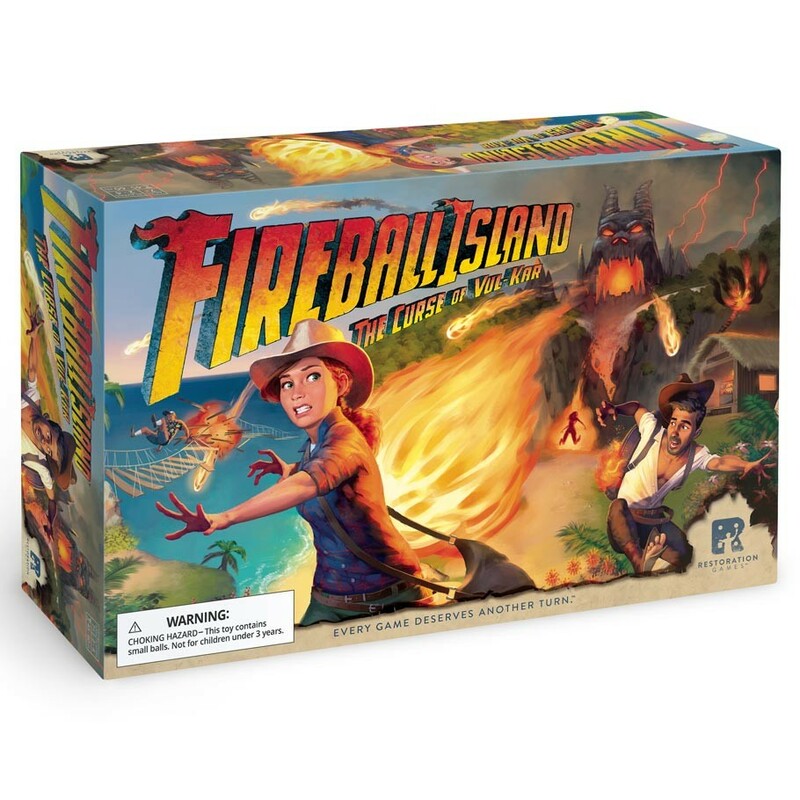 ACD Distribution Newsline: New Fireball Island releases from Restoration Games! 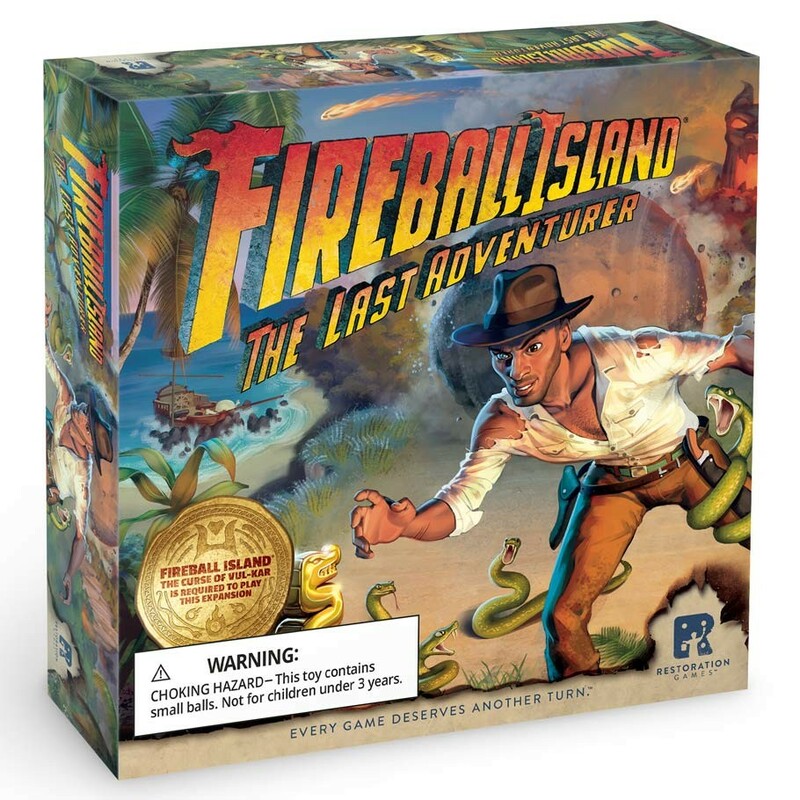 New Fireball Island releases from Restoration Games! 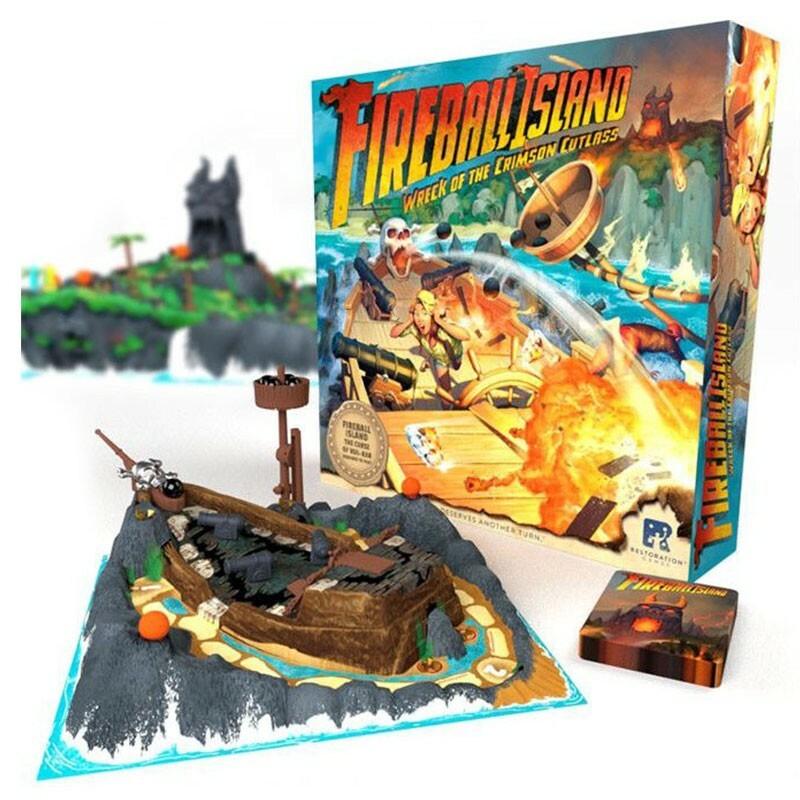 A whole new island to explore, with special treasures and falling cannon balls! This immortal classic is bigger, taller, faster, looks like a million bucks, and doubles down on the kinetic mayhem of the original. 30 years later, the players are back, looking for adventure. As guests on the world's worst adventure tourism destination, they will traverse wild terrain, gather snapshots of amazing views, and collect treasure along the way. Get the most stuff and get back to the helicopter. Of course, a certain vengeful ﬁre spirit has other ideas. It's not long before massive ﬁreballs come careening down the paths. Can you make it back at all? 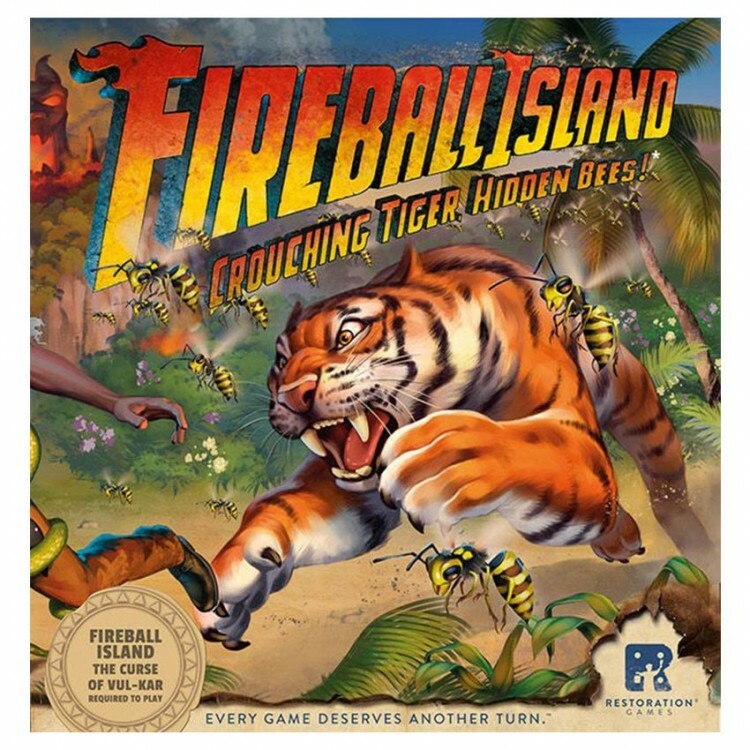 The new version of the game features a larger island, faster marbles, and fully redesigned game play. Players play cards to move their ﬁgures, manipulate the features on the island, and unleash Vul-Kar's wrath. Add a fifth player, unique player powers, snakes, and a rolling boulder!